Rod Cope, CTO, drives the technology vision for Rogue Wave Software. He was the founder and CTO of OpenLogic, a profitable venture-backed company and has more than 20 years of experience in software development spanning telecommunications, aerospace, healthcare, and manufacturing. Working at IBM, IBM Global Services, General Electric, and for the CTO of Anthem, Rod has led key technical teams working on mission-critical applications including the implementation of public key-based security systems in embedded devices, mobile applications, and in back office systems. 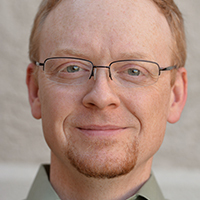 Rod holds both Bachelor's and Master's degrees in Software Engineering from the University of Louisville and has spoken at Strata/Big Data, OSCON, Embedded World, Embedded Systems Conference, ApacheCon, LinuxCon, and received the JavaOne "Rockstar Award" three consecutive years.